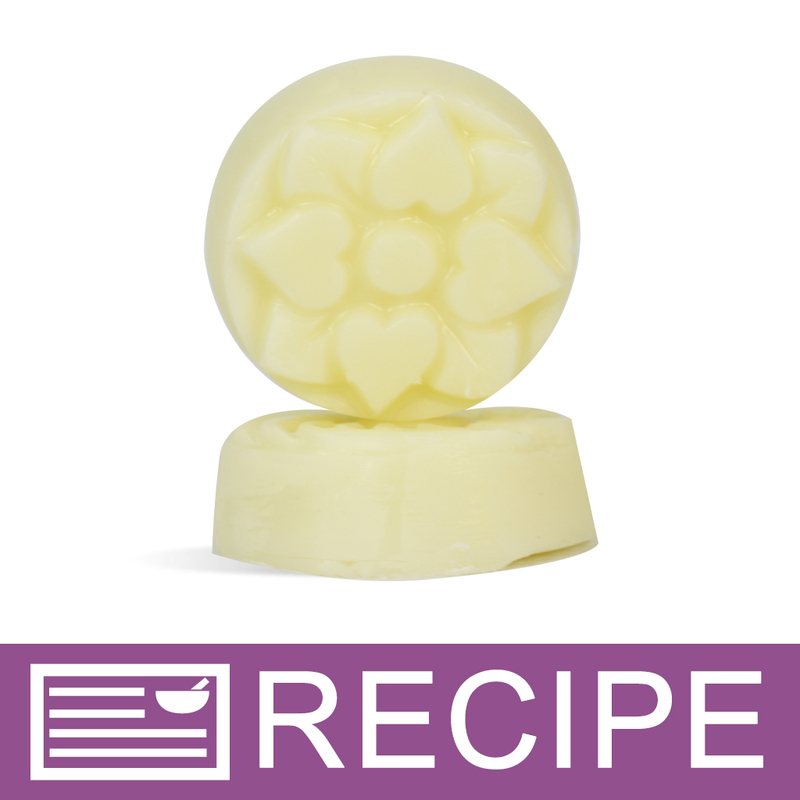 There’s no need to choose a favorite stylized flower design, because the Guest Flowers Soap Mold offers five lovely options, including some with hearts and waves. 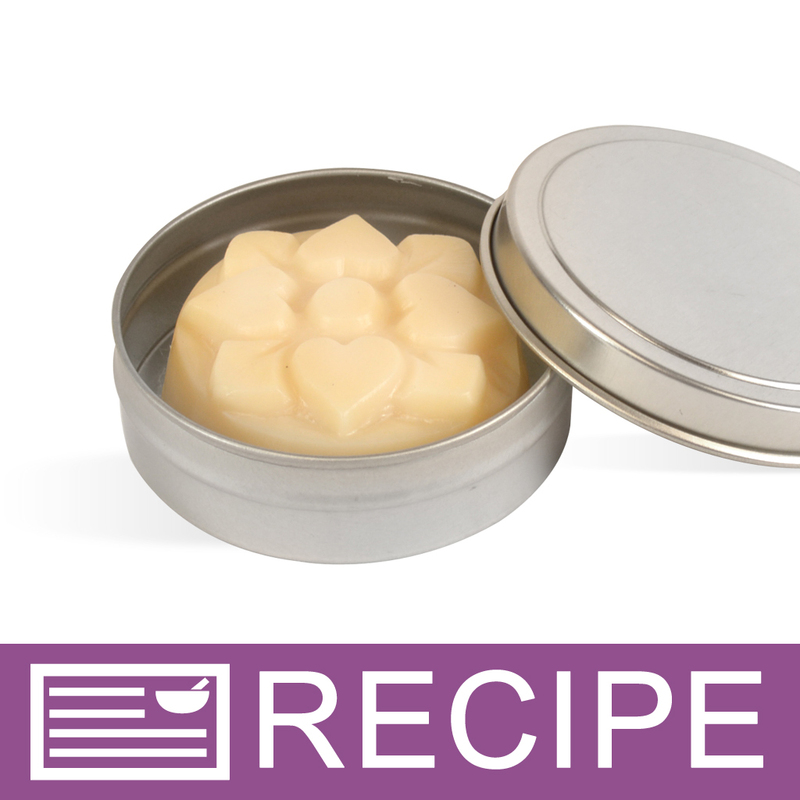 Bar Depth: 1.25" Bar Diameter: 2.25"
COMMENTS: These are the perfect size for lotion bars, very easy to remove from mold. "Great for Lotion Bars "
COMMENTS: I love making lotions bars with these! Just can't fill them all the way or they won't fit in their containers! COMMENTS: Works great. I mainly use to give that decorative touch to lotion bars. COMMENTS: I got this mold in the vanilla lotion bar kit and have purchased other ones since but this is the one I use the most. I like the different designs in the mold and the lotion bars come out very easily after leaving in freezer for about 20 minutes. I would recommend this mold. COMMENTS: Needed them to make favors. Really difficult to unmold. I'll use them again but not thrilled. If anyone has a clue to making the unmolding easier I would appreciate the advise. WSP Response: For easier unmolding, place into freezer for 30 minutes, and then immerse bottom of the mold in hot water for a few moments. Do not use cooking spray to coat mold. COMMENTS: I used this mold for the first time with lotion bars and they came out beautiful and the detail is very nice on each one. I allowed them to set for several hours came back and they just popped right out of the mold. COMMENTS: I used this mold for my lotion bars. I was worried they would not come out very easy. Lol all I had to do is turn the mold over and they fell right out. Love this mold. COMMENTS: These are great to make lotion bars. So easy to unmold and such pretty designs. COMMENTS: The MP soaps popped out easily. No air bubbles or missing mold areas. "Will these fit in the 2oz Shallow Tins?" "I am interested in purchasing this mold, but curious on the dimensions given for them...if they are "round" how can the dimensions be 3.5 X 3 ? Thanks." "Would love to see dimensions of the individual soaps on this one. The 1 oz. size is needed but the customer wants the measurements for that across and thickness."